Details: After defeating the Pokemon League for the first time, you can battle it again as much as you'd like after the Main Story. The Elite Four Members will remain the same, but their Pokemon Teams will be at much higher leveling. After defeating the Elite Four Members, you will be challenged by one of ten different trainers. 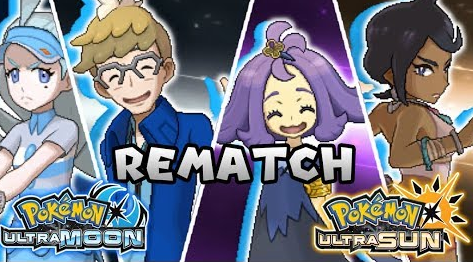 You are the champion after all, and many different trainers will be looking to defeat you (as your Hau and others allude to during the End of Story Scenes).